The Media Center, the Media Research Department at the Custodian of the Two Holy Mosques Institute for Hajj and Umrah Research, and the Department of Mass Communication at the College of Social Sciences have signed a memorandum of cooperation to collaborate in the fields of training, consultation, and the exchange of expertise. The signing of the memorandum took place in the presence of the Dean of the College of Social Sciences, Dr. Adnan bin Nury Al-Maghamisy, at the headquarters of the Department of Mass Communication in the University City in Al-Abdiyyah. Dr. Adnan blessed the signing of the memorandum, which is in line with the future plans prepared for the college's activities and programs. He also appreciated the support and directives provided by His Excellency the UQU President, Prof. Abdullah bin Omar Bafail, for the programs implemented by the college. In addition, he pointed out that this agreement would contribute to providing the department's students with training opportunities through the fieldwork and applied practices pertaining to their majors. Dr. Adnan said that this agreement would unify the efforts and contribute to enhancing the training outcomes of the Department of Mass Communication's students. In turn, it would utilize their cognitive potential in serving the university, and would highlight the university's role in the field of knowledge, leadership, and research. He then wished them much success and progress. For his part, the supervisor of the Media Center, Dr. Abdullah Mustafa Al-Shinqity, elaborated that according to the directives of the UQU President, Dr. Abdullah bin Omar Bafail, on the coordination of efforts among the different university bodies, the Media Center is keen to reach an inclusive agreement with all the university bodies concerned with media. He also added that the Media Center is keen to form a model that embodies complementary cooperation between the parties working in the field of media. This is in order to establish a strategic relationship that contributes to serving the university and its students. For his part, the Head of the Department of Mass Communication in the College of Social Sciences, Dr. Salim bin Aly Orijah, asserted that this agreement would provide more training opportunities for the students of the department, and would develop their cognitive skills. He also pointed out that the department includes students specializing in the fields of public relations, radio and TV, and journalism. He then praised the support provided by the Dean of the College of Social Sciences, Dr. Adnan bin Nury Al-Maghamisy, for the activities and programs of the department. In the same context, the Head of the Media Research Department at the Custodian of the Two Holy Mosques Institute for Hajj and Umrah Research, Dr. Osman bin Bakr Gazaz, clarified that this agreement would contribute to enhancing the UQU's media role, highlight its different activities and programs, and develop the media research fields, especially those relevant to the activities and programs implemented by the institute. 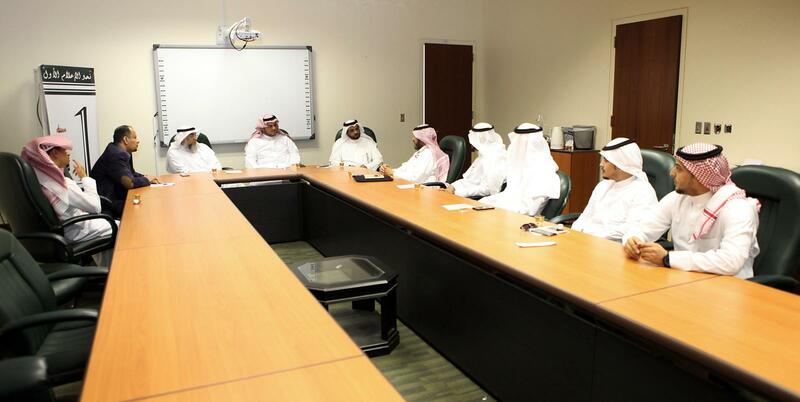 He then praised the support and directives provided by the Dean of the Custodian of the Two Holy Mosques Institute for Hajj and Umrah Research, Dr. Samy bin Yasin Barhamain, for the activities and programs of the Media Research Department. The tripartite memorandum of understanding aims to provide a real model that embodies integration between the relevant parties at the university. This is in order to achieve the utmost investment of potential and abilities to accomplish the general objectives under a unified umbrella, and to exchange scientific and practical expertise in the field of the agreed-upon programs and training courses in the areas of mutual interest for the university students and those interested in media. This memorandum also aims to utilize the research, studies, and consultations offered by all parties.